Helping people. Two simple words that have inspired over 40 years of making a difference in people’s lives. It became the mantra for what started as a small counseling clinic back in 1970. A place for returning war veterans and local citizens to find comfort and obtain the guidance they needed to get past life’s challenges and become a viable part of the community once again. Recognized for its invaluable service, and as a sign of hope for those in need, the Kresge Foundation awarded the clinic with a grant which laid the groundwork for what would become one of the state’s largest non-profit counseling companies. Understanding the need for early intervention, appropriate care, and the importance of keeping families together, what once started as a small clinic has now grown into what today is known as Health Management Systems of America (HMSA). Today, HMSA provides Employee Assistance Programs (EAP) and Work/Life and Wellness services to managers, employees, and the families of over 2,000 companies nationwide. The company has grown from a regional provider of behavioral health services to a nationally recognized leader providing best-in-class behavioral health management, training and organizational development services. HMSA works with Fortune 500 corporations, government agencies, top universities, and hospital systems. HMSA provides customized solutions to address the needs of a client’s most important asset – their employees. 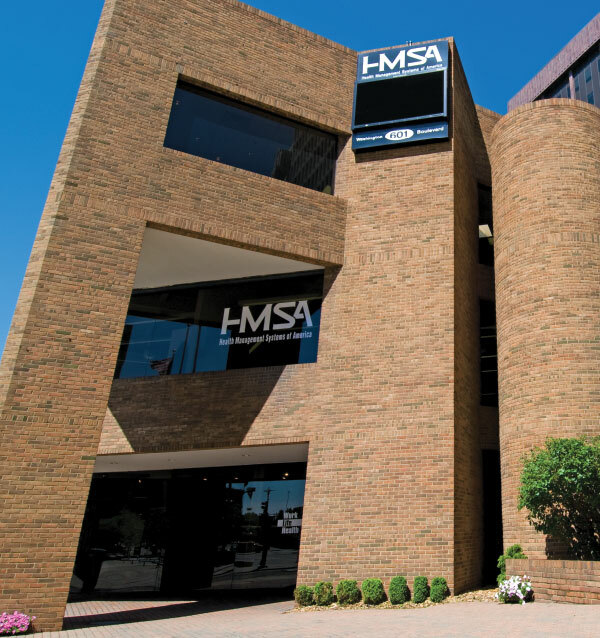 As a trusted source, HMSA has developed a reputation for offering the highest level of customer service, employee engagement, and providing quality, cost-effective clinical care management programming. HMSA’s customized employee assistance programs have been time-tested and perfected with over 30 years of experience as an independent EAP provider. HMSA is dedicated to promoting high-quality, creative, cost-effective approaches for providing current and emerging healthcare services. We pledge to develop and conduct innovative Employee Assistance Programs, Managed Behavioral Healthcare, and Work/Life services designed to meet the needs of individuals, corporations, management and organized labor on a regional and national level. HMSA will strive to exceed customer expectations through progressive staff development, promotion of health and well being, while advocating access to healthcare services of the highest professional standards for its clients. HMSA is one of the few independent, privately held national behavioral healthcare companies. We are not owned by nor affiliated with any pharmaceutical company, insurance company, hospital corporation or treatment company. No HMSA officer, staff member or employee has any financial interest in a treatment facility to which an HMSA client might be recommended or referred. No one is tapping our clinical staff on the shoulder to push mental health drugs, sell insurance policies or fill inpatient or outpatient treatment program slots. Why is HMSA the right choice for your company? If this is an emergency, call 911 or your local emergency medical services provider.